Forti is a new company looking for their first ever branding. i chose a circle that connects the words to focus on their strong community aspect, and a feminine design all around to showcase their support of women and their all women staff. typefaces are all simple and clean, much like the furniture they make. the magazine ads feature their new 4T hub which is a piece that shows off their strong technological side. this ad campaign created for Pebblestone, a fictional coffee company features artwork that matches their folk branding. looking to showcase their specialty coffee beans, i chose to use fun graphics that tell a story about waking up to a delicious cup of coffee. their audience is broad, targeting any adults in the area of their origin. i created a social media ad and bus kiosk for younger adults, and a postcard and magazine ad for older adults. full branding, logo creation, and website design. 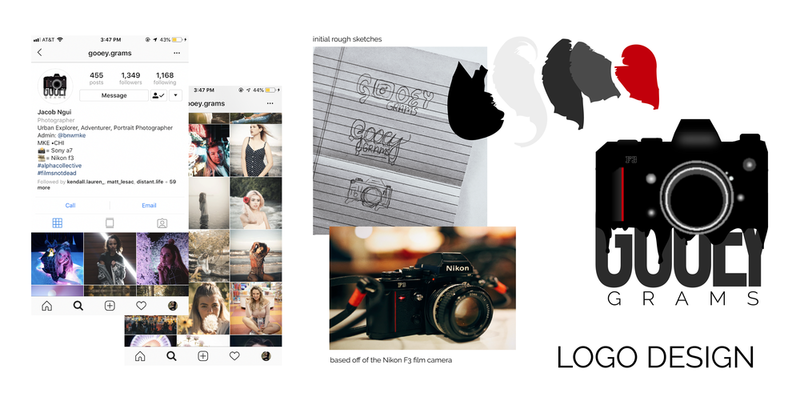 the colour scheme are Rachel Nicole’s favourite colours, the gold texture adds dimension, the font is clean and simple, the logo typeface is Rachel Nicole’s calligraphy. the front side of the business card features a photo of Rachel Nicole as well as ways to contact and stay in touch; the backsides features all different images taken by Rachel Nicole photography. canyon springs health spa was looking for a rebrand. they wanted something calming and that featured the natural, organic vibe that the spa prides itself in. set in a canyon, i created a logo that both was the name, but looked like a canyon. i used green and lavender to show the natural and holistic benefits, and clean typefaces and simple pieces to have a calming effect. 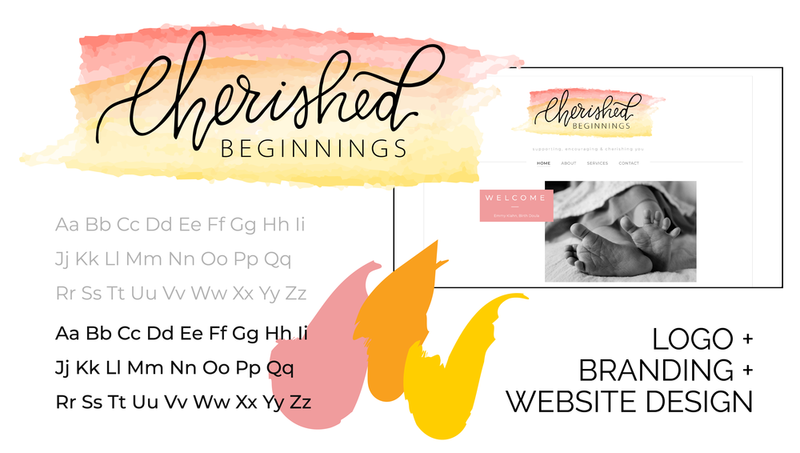 Emmy came to me for a new logo, branding, and a website design for her new doula business. i used the colours of a sunrise to show a new day; a new beginning, and watercolours for a soft look. she liked handlettering for the logo type as well as a clean font, to showcase organic simplicity. based off of the Nikon F3 film camera, and using the name, i created a camera that drips off onto the logotype, which features large and regular type. after playing around with a couple different designs, i came upon this design for Alex. using handmade calligraphy for an organic look, a simple font, line work, and a two-colour colour scheme, this logo piece truly came together on its own.